Company Voluntary Arrangements (“CVAs”) are a very effective rescue tool for financially troubled companies. Surprisingly, however, this procedure which was introduced in the Insolvency Act 1986 is still used relatively infrequently (although recently a number of high street retailers have been applying for them) and in all cases should only be entered into after expert, detailed advice has been sought. Seemingly, company administration (including pre-pack administration) and liquidation are often the preferred option, but as these effectively mean the closure / winding up of a company, some prefer other forms of ‘rescue’ package. We have run many successful Company Voluntary Arrangements, all of which have reduced the pressure and the problems involved. Click here to see some case studies and testimonials, and here to see some CVA news stories. Also, click here to see a comparison of CVAs with pre-packs. A Company Voluntary Arrangement (“CVA”) is an agreement between the company and its Creditors: unsecured, trade and statutory, to repay them in full or in part from future profits. Alternatively, a proposal may be drafted which calls for assets to be sold and for creditors to benefit from the proceeds. The agreement is based on preserving the company, protecting the employees and their pensions (as far as it possible) and making repayment contributions to Creditors over an agreed period of time. An acceptance from the directors that a change in their role in the overall management of the company may be appropriate. It is the Directors who would normally propose a CVA. If a company is in receivership , administration or liquidation, the administrator or liquidator also has the power to initiate the process. A CVA can only be proposed if a company is insolvent. Click this link: Company Voluntary Agreement Flowchart for an Interactive PDF of the CVA Process. The first step for the Directors is to meet with a Licensed Insolvency Practitioner (“IP”). We, at Antony Batty & Company LLP have dealt with over 50 CVAs, of which c.70% have been successful or are still on-going. The Directors with the help of the Insolvency Practitioner should undertake a formal comprehensive financial review of the business, all of the outgoings and sales being subjected to detailed analysis. This will help them evaluate whether an application for a CVA is an appropriate procedure to choose from all those available. If possible, in time, a return to existing shareholders. Once the draft proposal is ready the Directors will review it. With the Insolvency Practitioner they will decide whether it is achievable and to the beneficial interest of the Creditors. If this is not the case then it may be advisable to close the business by way of liquidation or administration. During this period the Directors should take care to ensure that the financial position of the company does not worsen and that the liabilities / debts to any Creditor should not significantly increase or decrease, and must resist any of the bullying tactics that some may employ. The company has the opportunity to reduce costs of employment and overheads that would not be available to it ordinarily. Employment contracts can be terminated, along with leases of property and assets. In our experience the Banks and Factoring Companies will be supportive of proposals which are sensibly drafted, achievable and show that the business is viable. Having their own security they will not therefore accept an agreement which reduces the chances of their debts being repaid. The Directors and Insolvency Practitioner should also talk to HMRC who as the Voluntary Arrangement Service (“VAS”) deal with all CVAs and Individual Voluntary Arrangements (“IVAs”). The CVA proposal is then signed and registered / filed at Court and given a legal originating number, which is then sent to all Creditors by the IP who becomes the Nominee together with notice of a meeting to consider them. Creditors have to be given notice of at least two weeks but in practice a longer period is advisable as VAS can take three weeks to consider proposals. The meeting which has to be held at a venue and a time convenient to Creditors is chaired by the IP. Creditors are often represented by an IP. The purpose of the meeting is to allow Creditors to question the proposals and approve them or otherwise. Creditors will vote on the proposals at the meeting and it will be approved (and therefore binding) if 75% by value of the total value of Creditors at the meeting (whether in person or by proxy) vote in favour. A second vote excluding connected Creditors is taken and provided that not more than 50% of Creditors vote against the proposal, it is approved. The Chairman controls the ability to vote. Creditors may wish for modifications to be made to the proposal. These changes have to be accepted by the same majority i.e.75%. Modifications are usually suggested by HMRC to ensure that future debts are paid on time and tax returns are filed on time. A shareholders meeting is held at the same time to approve the proposals and if appropriate modify them with a 50% vote in favour required. If both meetings approve the proposal the meetings close and the Chairman who becomes the Supervisor of the arrangement will send a report within four days, to all creditors and the Court. Once approved all creditors are legally bound by the agreement. No further legal action or demands, except by leave of the Court, can be taken against the company. Creditors will receive dividends from the Supervisor as set out in the proposal. The company must now make the agreed contributions to the trust account administered by the Supervisor. Failure to keep up with contributions will result in the failure of the CVA. This will usually lead to the company going into liquidation. Once the agreed period is completed and a completion certificate has been issued by the Supervisor the company comes out of the arrangement and the unpaid element of the pre arrangement unsecured debts are written off. After the long-term viability of the company has been considered, a CVA proposal may be identified as the next step. By proposing a CVA the Director is demonstrating that they are trying to maximise Creditors’ interests. Therefore, the CVA can often be viewed positively. If after that, the CVA does work then the company will be profitable and valuable for the shareholders. Many of our clients are very worried that the secured lenders will not support the restructure of companies using Company Voluntary Arrangements. All major clearing banks have a pretty healthy approach to restructure where the Directors are acting responsibly and quickly. Banks fear when control is taken away from Directors by petitioning creditors like HMRC or suppliers. So when a company is at risk (and generally the bank will know there are difficulties even if the board has kept quiet) the bank will monitor events, filing of management information, County Court Judgments and other legal actions. In our view, it is always best to get the bank involved as soon as appropriate, their ‘partnership’ in the process being invaluable. Usually we advise clients to go to the bank with the solution generally mapped out. This may require a plan (flexible detailed plans always being the best) in writing or PowerPoint Presentation and at least a semblance of a CVA proposal with a statement of affairs even if the finished article is some way off. In general terms the bank will see the CVA as positive because it helps cash flow, reduces the risk of Creditors’ legal actions and it shows the board is acting professionally and properly in a timely fashion. The bank manager or factoring manager will often pass the client to the bank’s special risk teams. They will assess and overview things. Bank debentures and lending facility letters generally provide for the bank to appoint a Receiver or Administrator in the event of default. This is known as the bank’s remedy. But this is very rare in a CVA scenario. The bank will prefer to keep its powder dry and keep their remedy in abeyance. The bank will generally not want to appoint an Administrator or Receiver, because this could lead to a reduction in the value of assets and in the business itself. In many cases the bank would see a lower recovery and therefore seek to reply upon personal guarantees. Company Voluntary Arrangements do not normally impact upon the banks security and may not crystallise losses unless agreement is reached with the bank as part of the CVA scheme. A well structured CVA can greatly improve the bank’s recovery, maintain its security and remedy and so the banks are, in our experience, very supportive of a well structured CVA recovery plan, this especially being the case when they can see that the advice of some professionals, like AB has been taken into account. It is possible that a CVA alone cannot provide the working capital improvements needed. We have frequently asked for capital payments holidays for lease and HP agreements and bank loans. If a good case is made using quality financial forecasts and cash flow projections then often the secured lender(s) will agree to help the company through the dark periods ahead. Banks want to support their customers, they don’t want to knock the business down and see a possible loss. Even with personal guarantees in place, they will seek to find solutions with the company’s board. HOWEVER, if you don’t “act”, don’t provide the bank with information, don’t react to the demands of your creditors, and don’t seem to “get” how bad things are, then the bank can appoint investigating accountants or even worse administrators very rapidly. A CVA allows a company to continue trading. This can even be the case if a creditor has advertised a petition against the company. Unlike other options when a company is insolvent, a CVA can allow the directors/owners to continue trading whilst maintaining control of the company. There will be no investigation into the conduct of the directors under a CVA although full disclosure of any potential officeholder actions must be given to the company’s creditors within the proposal made to them. A massive saving for any business. Valuable contracts can be retained together with certifications and licences which would be difficult to transfer into a new company or would likely terminate in other processes. Unprofitable or undesirable contracts may be terminated. For example a lease, supply contract or even employment contracts when cutting prior to or under a CVA. A proportion of the debts owed by a company must be settled during the course of a CVA. This could be as low as 50% of the sums owed (this may require some negotiating with creditors..). Not only can a Company Voluntary Arrangement ‘allow you time’ to restructure your business model to begin making a profit again, but directors will also have the added benefit of a professional business rescue team at their disposal to help them formulate a viable plan. The discipline of producing a 3-5 year plan with cash flow forecasts and then achieving it will invariably improve cashflow because with professional assistance the managers of the business will control the businesses finances rather than being controlled by it. There are, of course, some disadvantages to Company Voluntary Arrangements. Since a creditor cannot initiate a Company Voluntary Arrangement, the directors will need to do so. There are times when directors or owners wait so long before proposing a CVA that it may be difficult, if at all possible, to turn business back around to profitability. The best advice we can offer to overcome this difficulty is, don’t procrastinate. Act Now! Failure to keep to the arrangements could land you right back in difficulties, the benefits of the ‘moratorium’ gained by the CVA having been lost . This means that the payments agreed in the arrangement need to be paid in full and on time. Some lenders and suppliers will not be overly eager to extend credit in the future after you have entered into a Company Voluntary Arrangement. A CVA will ordinarily run between 3 and 5 years which is a long time to be in a process and to make payments out of profits. Lenders with security will not be bound by the CVA but their support is essential. 75% of the company’s creditors by value who chose to vote must vote for the CVA proposal in order for it to succeed. 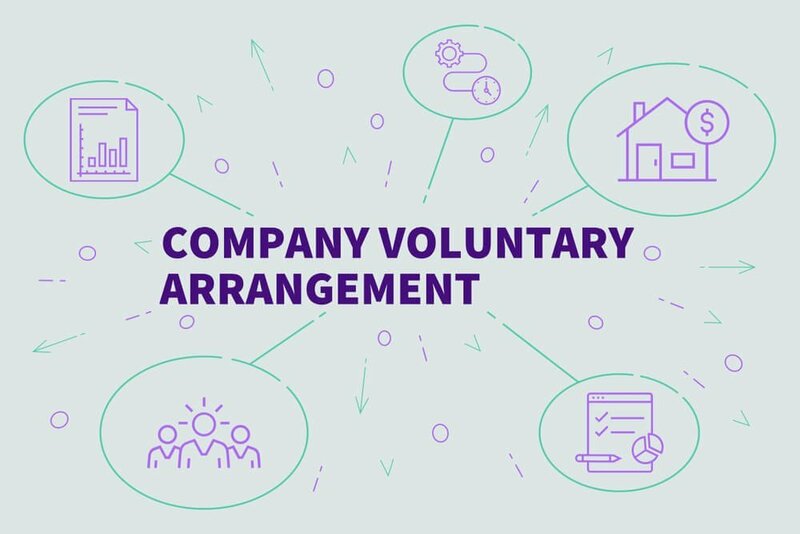 The advantages of company voluntary arrangements are far more numerous than the disadvantages, but the key hurdle is the likelihood of the company’s proposal succeeding and the CVA completing. These are the true and most difficult hurdles which must be overcome and that means that a viable and profitable business must be able to emerge from the CVA. If you believe your company, or one of your clients, would benefit from a Company Voluntary Arrangement, contact us or call us on 0207 831 1234 for a free initial totally confidential discussion. We have offices in London, Brentwood, Salisbury and The Cotswolds.